monkey had the most liked content! What do you do when you aren't flying? Ya, we could use a new header here. John? I'll get a look as to why that's not showing up in searches because ya, it's been discussed here. It's really a fun kite! No worries Guido, I cleaned up! Thanks as always for your videos! Packed up dimensions on Reflex? I tend to only use the springs in low winds, myself. I think the arrangement I came up with for a "mid vent" version of the kite will work out quite nicely. We'll find out shortly! You know, that's an excellent idea, I'm going to pass that along. Done, mocked up a quick idea and sent it into Dave, Joe and Lolly for comments. Hey all, just as a quick note, Joe graciously let me get my hands on the new VERY vented Reflex (tentatively called the Super Spider Web at this point) while we were down at Rich Comras's memorial party. 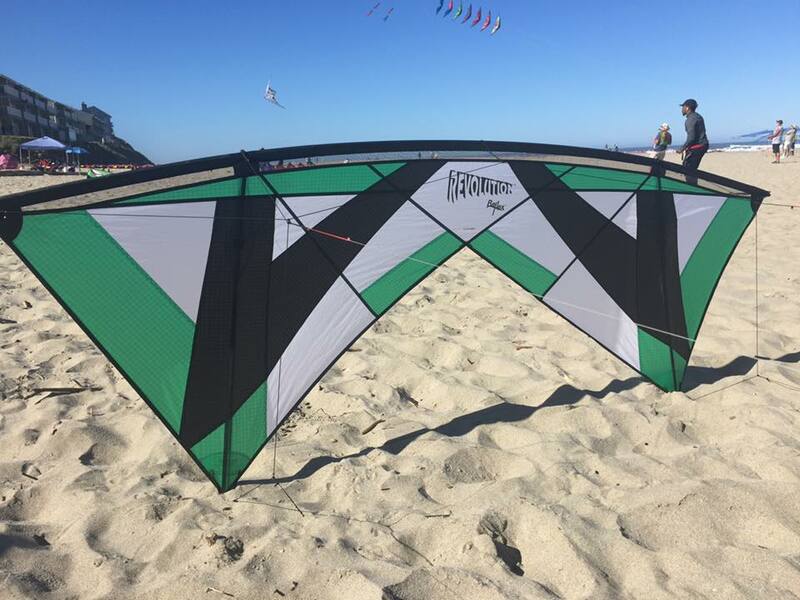 This kite should be available pretty soon and damn, it flew well. It kept up to any other very vented kite out there and pull wise, it's roughly about the same amount of pull as the XTRA vent. I'll get some pictures and a better review soon but, Joe and I also talked about a mid vent Reflex as well! I sent Joe back with a few tweaks to this new kite, so, hopefully it will ready to go soon! Quite a handful of people took it for a fly and they loved it. Other things on the go over the next while, We're going to redo the Rev store site entirely over the next few weeks, and at the same time, we will roll the forum back over to the same site. An unfortunate bunch of missteps caused the separation last year and I am looking to fix this. The forum URL will change slightly to match the .com site however, that will be it as far as the forum goes. (I may undertake to dress the place up a little bit too!) thanks all! Ya, this is PRETTY much correct. I am sure there are a few exceptions to this but, in general, yes. Do I really need a 2-wrap frame? monkey replied to Strutless's question in Buying your first Rev?